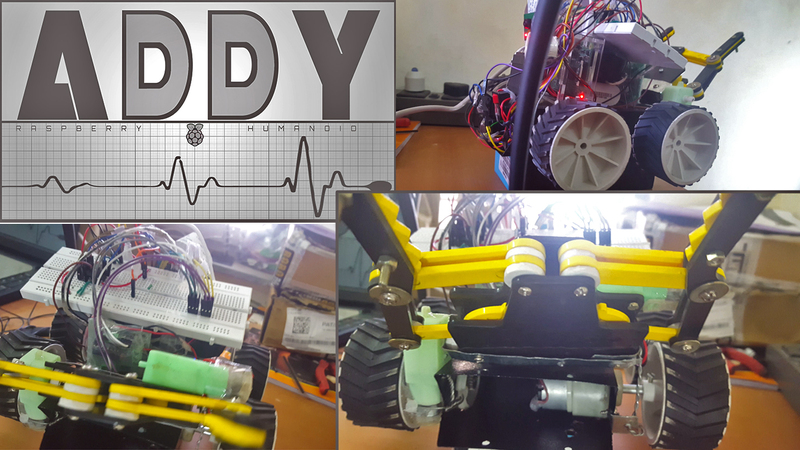 ADDY is a raspberry pi based robot with lot of wide features and modules associated with it few of them are: Wifi, Arm & Gripper, Speakers, 5mp PiCamera 1080p, USB microphone, L293D motor driver, Lights. Integrating all these modules I am trying to develop autonomous robot with features like track faces, objects, voice control, lift light weight things. Also, I have developed software to manually control the robot using pyqt4 package in Python. I went to Techfest 2015 at IIT-Mumbai for BLOCK WARRIOR competition with this bot. Control ADDY using any language: C/C++, JAVA, Python. Track and locate places using its camera which can be rotated 180 degrees. 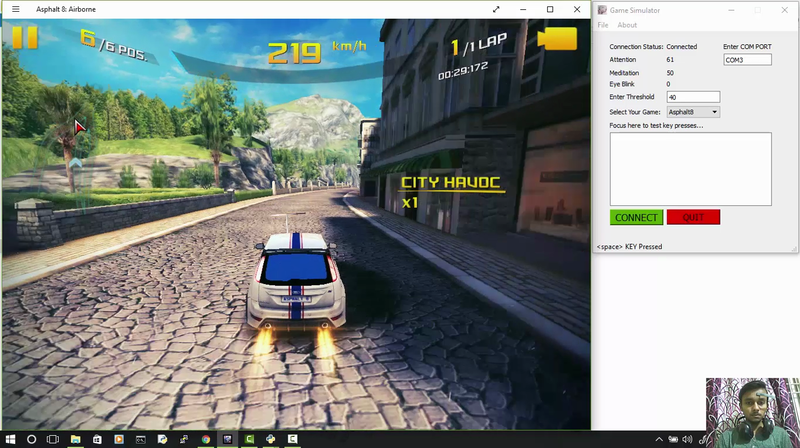 Connect to any device with internet connectivity for remote control. Webserver & Website on localhost/live to control ADDY( www.vslcreations.in). GUI & key controls for GPIO and its parts. In, this tutorial I have written short steps to build a robot with all references and tutorial links because of time shortage. 1. 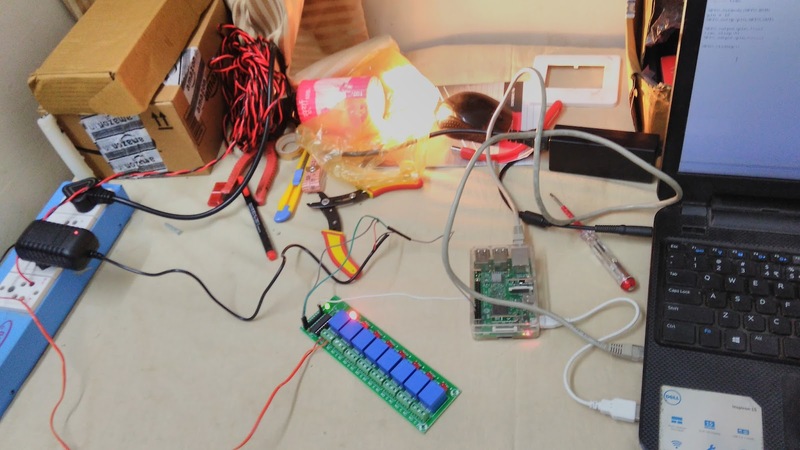 RaspberryPi B+ : To control ADDY and provide signals to GPIO for its I/P & O/P. Processor-Broadcom BCM2835 ARMv6, Chipset-HD multimedia app processor, 512MB SDRAM @400MHz, Storage-MicroSD, 4xUSB Ports, 1.8A@5V, 40GPIO Pins. 2. Gripper Module: For lifting blocks. 3. Power Bank: Intex PB-4K 4000mAH to power RaspberryPi 5V supply. 4. L293D IC: To control 2 single shaft motors @ 300rpm. 5. Speakers: To make ADDY interactive. 6. USB Wifi Adapter: For wireless control & internet connectivity. 7. Breadboard, Jumper Wires, LAN Cable, 16-Gb Micro SD Card, 8V DC Rechargeable Battery: Buy two 4V DC rechargeable batteries from any electrical shop. 8. 2 x 4 Base Wheel Drive(included 2 Single Centered Shaft Motors). You can assemble in any way but make sure that it holds all parts tight use tapes or glue-gun. 1. You can do some DIY stuff for robot body. 2. Make sure Pi camera get 180 degree flexibility to capture. 3. You must be able to attach/de-attach LAN and USB devices. 4. No part should touch wheels. 5. you can attach both batteries below the base plate using threads/wires to hold it tight. Please check the GPIO-PIN numbers to connect. PIN Numbers of GPIO to connect motors of wheel, gripper module and LED. 4. Update and Upgrade your RPI.